Forces of Destiny An Imperial Feast has revealed a truth about Ewoks after the battle of Endor: captured Imperials were going to be fire roasted alive. 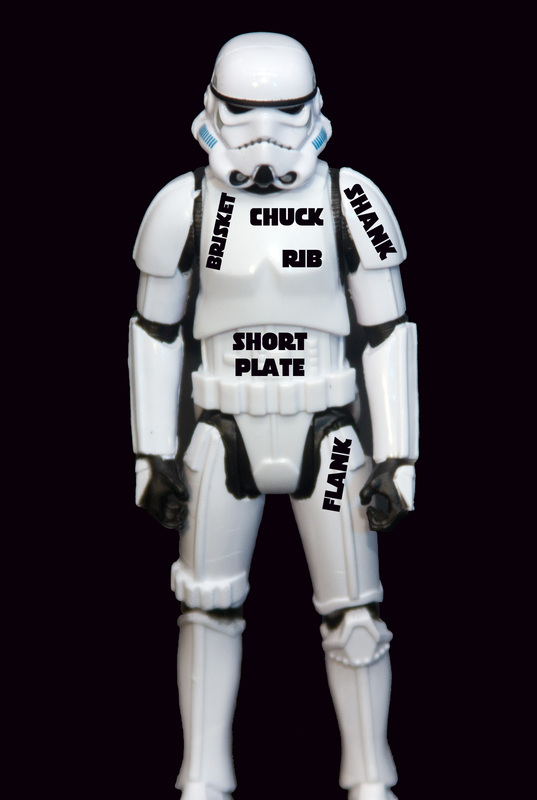 It is unknown if any Storm Troopers were indeed cooked as part of the victory feast seen in Return of the Jedi, but at least one group of prisoners of war were saved from the dinner menu by Leia Organa. Say what you will about Anakin Skywalker’s many hate crimes, but at least he never ate a Tusken Raider or Youngling. The issue of eating POWs was the central charges of the war crimes trial for the Japanese officers on Chichi Jima after World War 2. James Bradley tells the full extent of the cannibalism in great detail in his book Flyboys: A True Story of Courage. The trial was the first time that cannibalism and torture were allegations for war crimes. See, BOOK REVIEW: Judgment at Tokyo: The Japanese War Crimes Trials, 171 Mil. L. Rev. 220, 224 and Celebrating Volume 50: The Early History of the Washburn Law Journal, 50 Washburn L.J. 433, 440-441, citing George E. Erickson, Jr., Note, United States Navy War Crimes Trials (1945-1949), 5 WASHBURN L.J. 89 (1965). Torture ultimately was not addressed as a war crime until 1980. Judgment at Tokyo, at *224. Moreover, Bradley explained that since cannibalism, as vengeance killings had never been an issue before, the prosecutors charged the Japanese officers with desecration of a corpse. V) Slow roasting Storm Troopers on a rotisserie would intentionally cause serious bodily harm to the prisoners of war. 18 U.S.C.S. § 2441(A), (B), (D), (E), and (F). If remnants of the Empire captured Ewoks for prosecution, it is very clear that Ewoks purposely committed an opening crawl worth of war crimes. The act of cooking prisoners of war would be horrific crimes of torture and murder. General Organa was justified in stopping these atrocities, but the question remains, how many helmets used as drums during the tribal performance of “Yub Nub,” belonged to Storm Troopers who were eaten by Ewoks? Previous articleHalloween Podcast Spectacular with Monster Party!